This simple ring design is created by fallfordiy.com and is so delicate and elegant. It would be beautiful paired with a black outfit and simple gold earrings and heels. Another great introduction to wire wrapping projects and techniques. 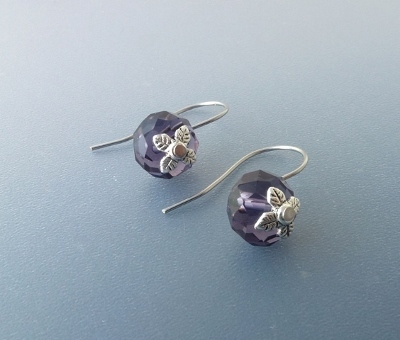 This Crystal tutorial shows you how to make crystal Earrings using Quartz. These ones are a little extra special as they are dipped in gold foil. Very elegant very stylish. Full tutorial here. These wire wrapped rings are chunky and resemble treasure from the Pirate seas. 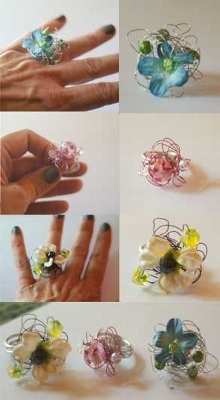 Use old Jewelry pieces to re-create something new and original with this simple and easy to follow Jewelry making tutorial from Jewelryfromhome.com.